In 2008, Austria’s bicycle market grew for the third year in a row. From a slight 1.3 percent increase in 2007, sales expanded by a remarkable 13.2 percent in 2007 and jumped again by 8.1 percent last year. VIENNA, Austria – In 2008, Austria’s bicycle market grew for the third year in a row. From a slight 1.3 percent increase in 2007, sales expanded by a remarkable 13.2 percent in 2007 and jumped again by 8.1 percent last year. 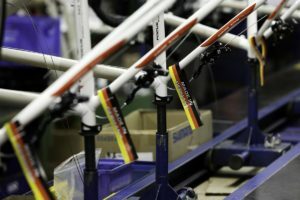 According to Helge Fellner, marketing manager at Austrian Shimano importer Thalinger Lange GmbH and spokesman of the Austrian two wheeler industry and importer association Arge-Zweirad, “the 2008 bike season started with good sales in the spring before slowly decreasing in summer. At the end of the season, sales returned to normal”. Overall, a good mood prevails in the bicycle trade. 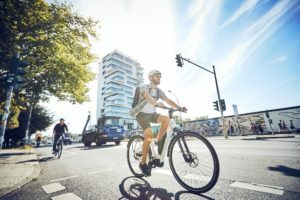 As in Austria’s neighboring countries, hot topics such as rising environmental awareness and high energy prices pushed bicycle products into the spotlight. Compared with the previous year, domestic production in 2008 increased 8.4 percent to a total of 167,000 units. Note that this number is based on Arge-Zweirad estimates. This number also shows how difficult it is to get verified numbers in the Austrian market. Austria’s two major producers – market leader KTM and custom-made producer Simplon – reported total 2008 production of “more than 160,000 units” and 15,950 units respectively. This total (175,950) is higher than the 167,000 units estimated by Arge-Zweirad. Nevertheless, apart from these two companies there is not much volume bike production left in Austria. Export and import figures are more reliable because they are based on data from Statistik Austria/Eurostat Import/Export. Compared with the previous year 2008 bicycle exports skyrocketed 20.4 percent to a total of 147,650 units. Bicycle imports increased 7.7 percent to 415,216 units. This means that for the first time since 1983, Austrian bike exports were higher than imports. Based on the widely used formula of ‘home production minus exports plus imports = domestic delivery’ we find a domestic delivery number of 434,566 units. But according to Austrian bicycle statistics, the number was 465,000 units in 2008. 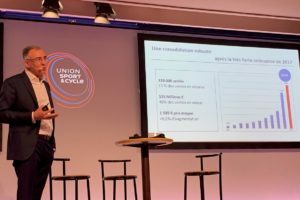 The gap of 30,434 units is explained by Helge Fellner as “overstock from the previous year in various distribution channels that was sold during 2008”. 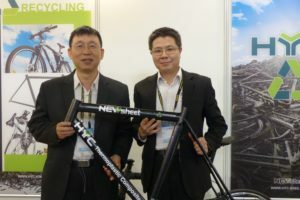 Specialty retail and sporting good chains kept high-end bicycle sales in their hands, while the mass merchant distribution channel could not keep up the previous year’s performance. By category, our chart from Arge-Zweirad shows that percentage rates for each category are virtually unchanged from the previous year. Fellner says that high-priced mountain bikes showed good sales increases in 2008. Trekking bikes remain the number one mobility bike segment in the Austrian market. While road bike unit sales were slightly down, this category benefited from higher value sales. Bicycle parts and accessory sales increased by 10 percent and the maintenance and repair business was also good. All in all pre-orders have been positive. 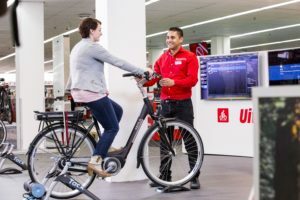 Forced by a good start to the season and great weather conditions in April, the average mood in the bicycle retail world is also much better than expected. The major risk factor for further growth is the currency exchange rate issue. The Japanese yen and the US dollar are regaining strength. This will definitely lead to 2010 price increases ‘into the double digits’, said the Arge-Zweirad spokesman.